This is the full replacement filters pack for the Puricom ZIP portable RO system. 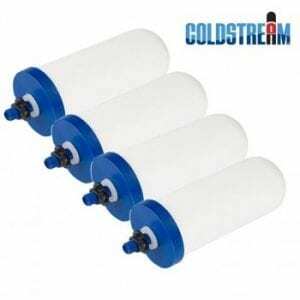 These state-of-the-art filtering cartridges make ZIP systems one of the most innovative reverse osmosis systems of the market. 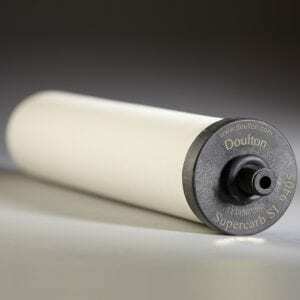 Thanks to its bayonet assembly, maintenance times can be reduced as well as contamination risk. 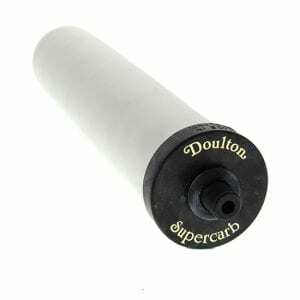 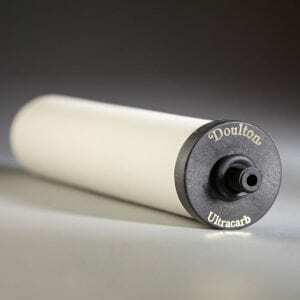 Pre-filters are an essential part of a reverse osmosis system. 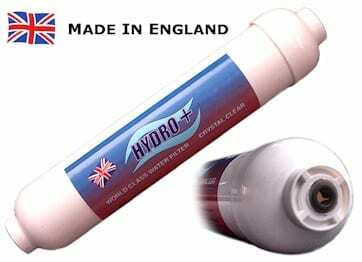 They carry out an important treatment on inlet water in order to ensure that the reverse osmosis membrane can work under proper conditions, thus guaranteeing the quality of treated water. 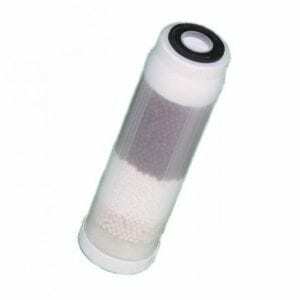 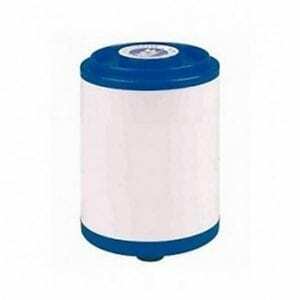 545900 FT-82 5 μm Sediment filter. 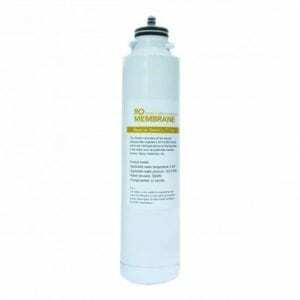 Reverse Osmosis membrane – It is the most important component of the system, since it determines, to a large extent, the quality of treated water.The Reverse Osmosis process is based on nature and has been used for more than 30 years. 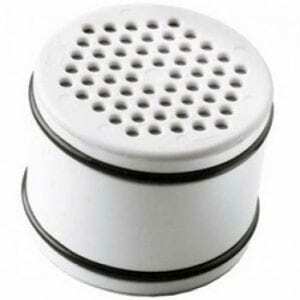 These semi-permeable membranes only allow nearly pure water to flow through, by removing excessive salts during the process. Likewise, it also rejects bacteria and micro-organisms, heavy metals, viruses and more. 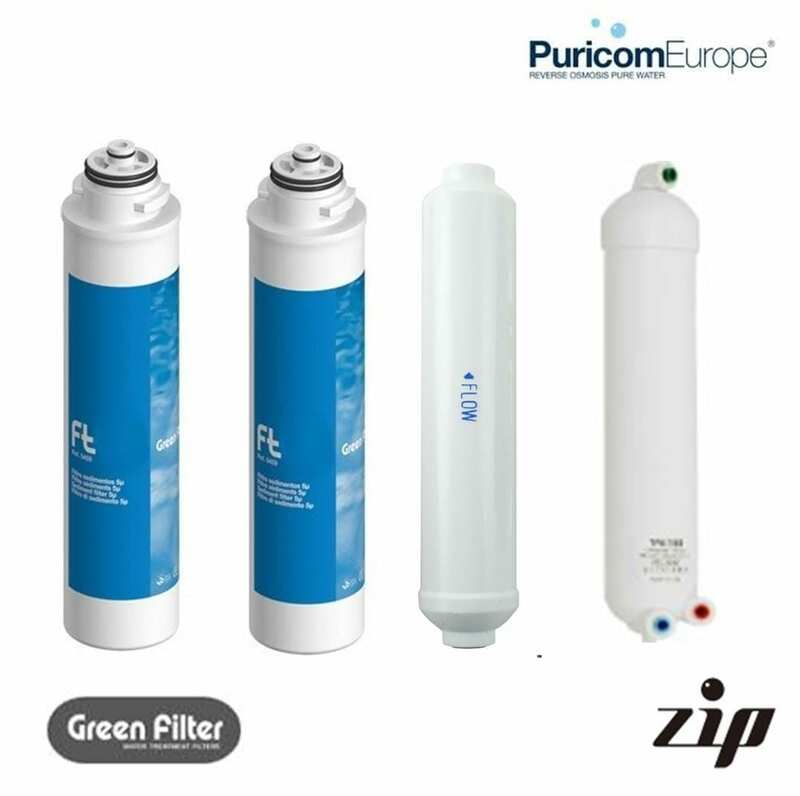 717704 Capsulated GREENFILTER – Post-filters allow the user to adjust the quality of osmotised water to its needs and tastes.